Amy Neale is Head of Business Development, Innovation and Enterprise at Queen Mary, University of London. 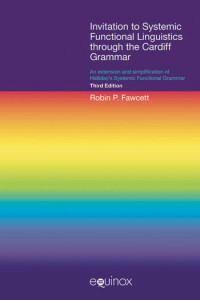 Developed within the Cardiff Grammar, this book is concerned with the experiential strand of meaning – the function of language which conveys the speaker’s view of the world – and provides a toolkit for linguists striving to access experiential meaning made in texts with the following components: a theoretical-descriptive tool in the form of an overview of approaches to the area of language that is TRANSITIVITY; a reference tool in the form of the analysis of over 5,000 verbs according to their Process types and Participant Roles configurations; and a methodological tool through an illumination into how such detailed analysis can be applied to a generative model of language. 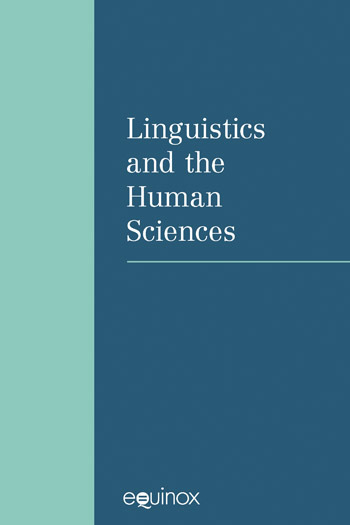 The primary aim of the book is to demonstrate how it is possible to test the practical rigour of a linguistic theory by applying that theory to a broad spread of verb senses and the stages in modelling a central aspect of these verb senses in a generative model of English. This is achieved by presenting an overview of why one particular dialect of SF Linguistics – the Cardiff Grammar – warrants study and testing; describing the process of applying this model to the analysis of language; and describing the application of the theory by creating delicate system networks for the system of TRANSITIVITY.